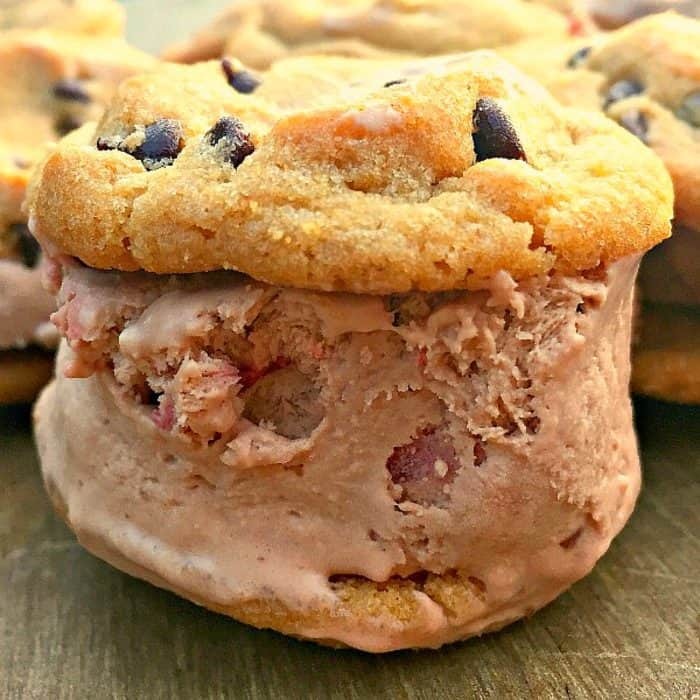 This Homemade Strawberry Nutella Ice Cream is delicous served in a bowl, or sandwiched between two chocolate chip cookies! Friends, it’s been sunny and warm in southern Oregon … it’s like spring is here! But we know it’s not. We get a “spring tease” every year in February! One thing I did this week was buy a flat of primroses at Costco for $10.99, not a whole lot of money. 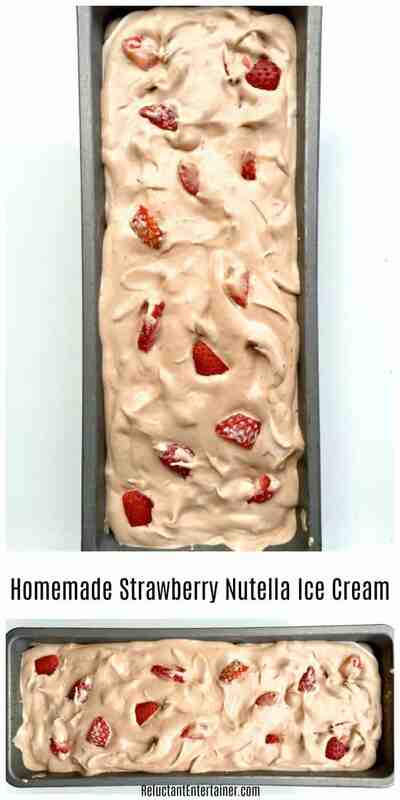 And, we made this delicious Homemade Strawberry Nutella Ice Cream! 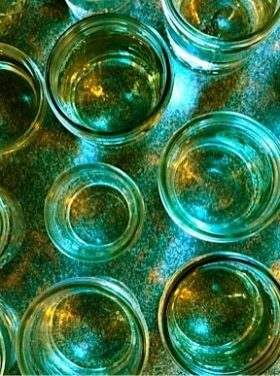 The colors are so vibrant, so rich, I really wanted to share them with some of my friends, especially since it’s Valentine’s week! I think at the beginning of each day, about how we can pray, commit our days, and ask ourselves how we can make today count. I think we get so busy, that thought (or practice) is sometimes rare. One thing I love about the beauty of each new season is that we can share that beauty with friends. 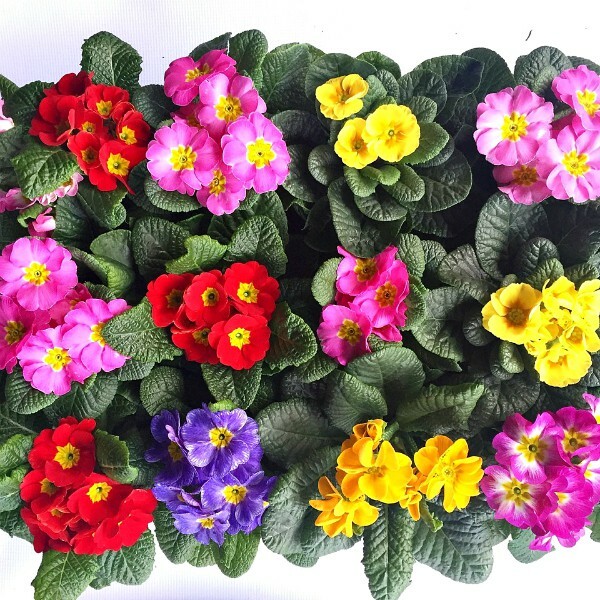 Sometimes it can be as simple as a little box of primroses. To bring light and love to a friend—do whatever your heart leads you to do, but DO IT! 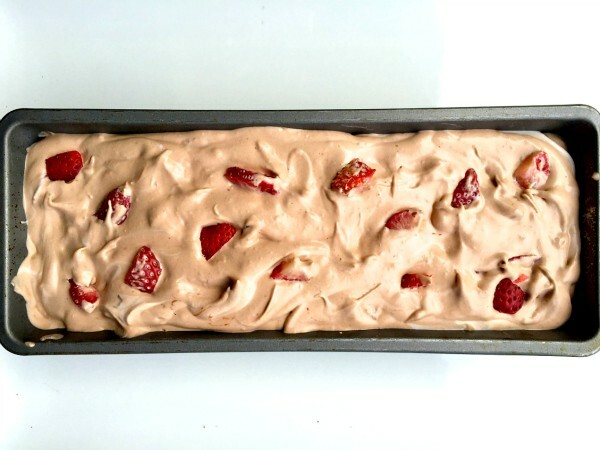 Today I’m sharing a very simple homemade ice cream, with strawberries – and Nutella. 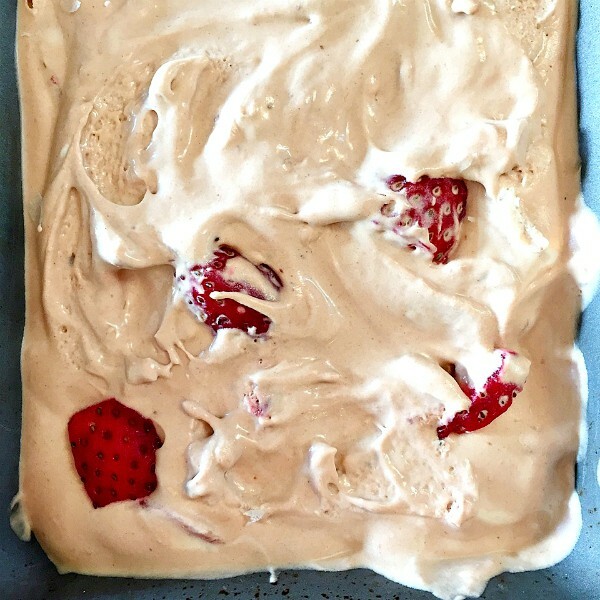 You can serve it in individual dishes, or make little ice cream sandwiches! Whether with flowers or sharing a few treats with some friends, I hope that you’ll go out and bless someone this week! Do you think about each day, and how you can really make it count? 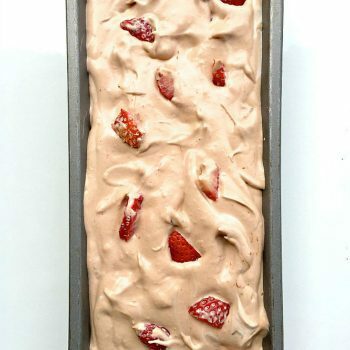 Freeze in loaf pan, covered, for up to 1 week. Scoop leftovers between 2 cookies and freeze for frozen cookie dessert! In a medium bowl, whisk together condensed milk, and vanilla. In a large bowl, using an electric mixer, beat cream on high until stiff peaks form, 3 minutes. Gently fold the whipped cream into condensed milk mixture; lightly mix together with a spatula. Add the Nutella. 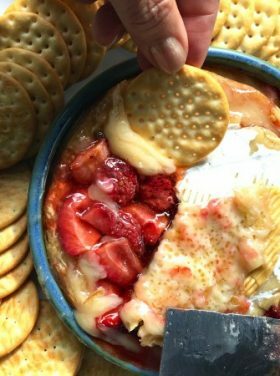 Mix in the chopped strawberries. Mix gently together and pour into a loaf pan. Freeze until firm, for approximately 6 hours. This looks wonderful! 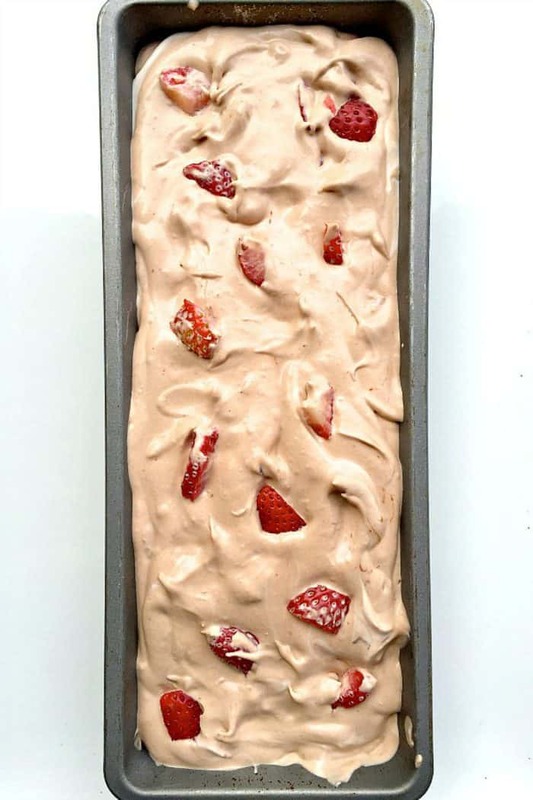 Can I use a regular cake pan instead of a loaf pan to freeze? Thanks! Did you make your chalk board boxes or where did you find them to purchase? I suppose this will work in an ice cream machine? Oh my word. 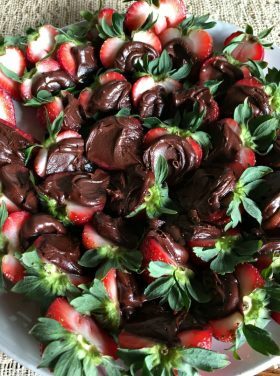 This recipe has made the cut for Valentine dinner— dessert at the farm, haha, yum!! Sandy I love the message today, so much. For me it’s more than our common Carpe Diem, though that’s fine. It’s like… Redeem the time. Every season and every day within those seasons is so unique. Unique challengths and opportunities, unique messages from our hearts. Thanks for the nudge to listen. Happy Valentine’s weekend to you and your husband!